A new favorite mask has emerged. Annie's Way Jelly Face Masks feel fan-flipping-tastic on the skin, all cooling, sheer and heavenly. I picked these up at Beautque during a sale for a couple bucks a pop. I get about 3-4 uses from one pack. 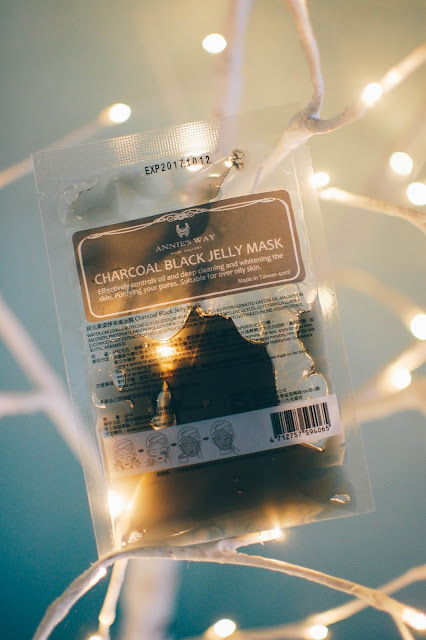 The Charcoal Black jelly mask I used several times and have purchased multiple times. I enjoy it for when my hormones act up and provide me with the most dreadful breakouts. After wearing and rinsing, my skin feels like a clean blank slate, minimized pores, fresh and sparkling smooth. 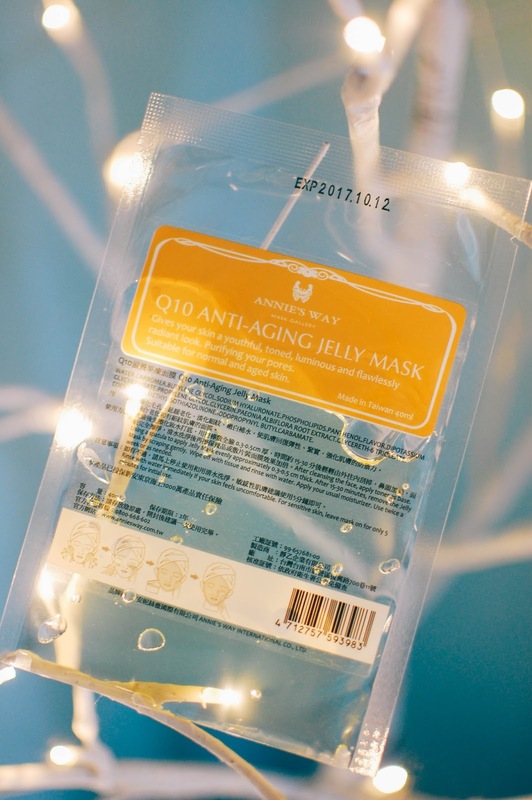 The Q-10 Anti-Aging mask is quite lovely too. If I have been in the sun too long or not hydrated enough, my wrinkles become more pronounced and I turn to this pack (and gulps of water) to put my face back on the road to plumpness. 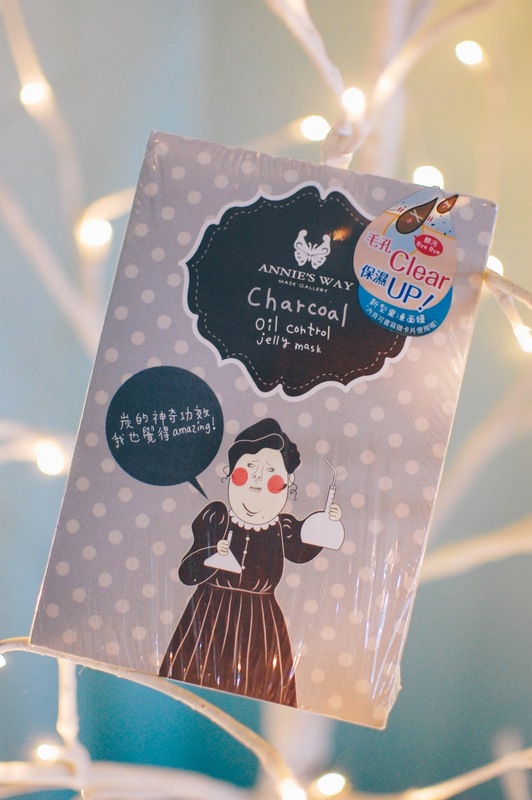 Annie's Way makes some great sheet masks too. 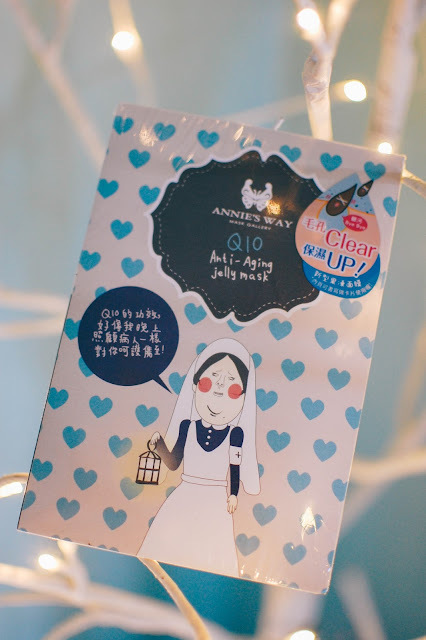 I am currently using Annie's Way Secret Garden: Edelweiss Iris Witch's Timeless Secret. Love it. Any new skin care faves for you? Have you tried Annie's Way? I haven't tried these, but they look intriguing. How do you store the mask packs so they don't dry out between uses? Also, how often do you use face masks? I always think of it was a once a week splurge or treatment, but I'm not sure if that's correct. I cut the corner to squeeze out what I want and then fold it over and clip it and it stays nice and fresh for a good long time.